Join us for a Glass Etching Class. Crafting with wine! $40 per person, including your first glass of wine and craft kit. You may purchase additional wine by the glass or by the bottle. We will hold the class February 27th, from 5 pm – 7 pm at Cravin’ Wine and will serve 2 wines while we etch away at our wine glasses! Seating is limited, so make your reservation now. Please make your reservation with the event sign-up form, or, call 252-514-CORK, or email us at cravinwine@gmail.com. Here’s a little detail on what glass etching is: Glass etching is the abrading or roughening of a piece of glass in selected areas in order to produce a design. It is a way to produce a “frosted” design on the surface of a piece of glass, but it is much more than that! 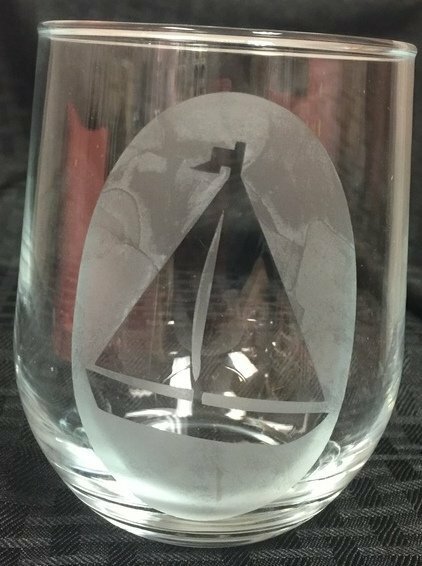 It can also be used to carve a design deep into the glass or to produce a shaded design that looks like delicate airbrushing but is permanently etched in the glass.